I know what you’re thinking. There’s no cuter cat in the world. Right? I thought that, too, until I came downstairs this morning and found the kitchen sink running. I turned off the water and went to the table to begin my work. A few minutes later, I heard the water come on. Except I don’t believe in ghosts. And it wasn’t a ghost. Yes. 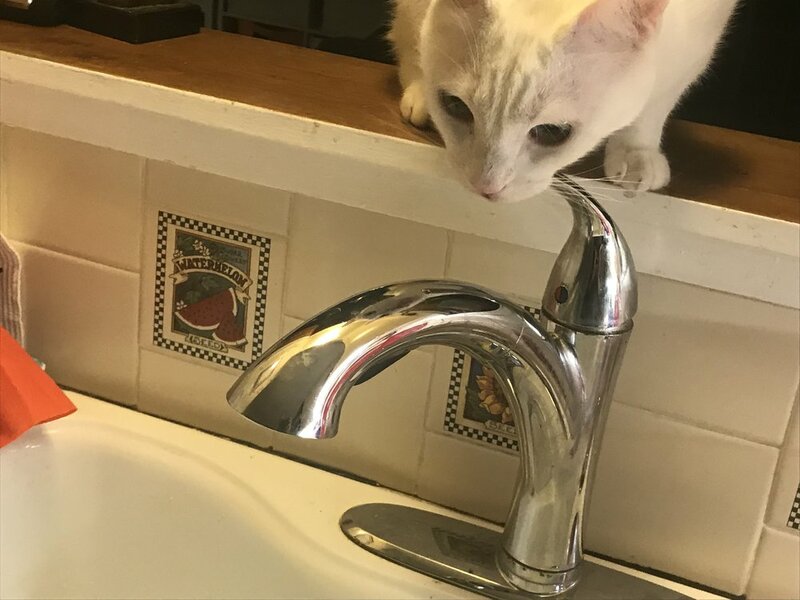 My water-obsessed cat has learned how to turn on the kitchen sink.